Coronation Street’s reputation as Britain’s premier soap is based on its preparedness to take on divisive social issues and avoid crass simplifications. It is currently featuring euthanasia. 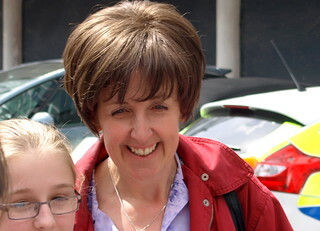 In the itv drama, Hayley Cropper, the transsexual character played by Julie Hesmondalgh, has just been diagnosed with inoperable pancreatic cancer, with six months’ life expectancy. Last week she told her husband Roy, the singular, thoughtful café owner played by David Neilson, that she intends to take control of what’s left of her life and die when and in circumstances of her own choosing. She sees the alternative as a nightmarish descent into morphine-induced purgatory where visions of her past life as a man will return. Her usually sympathetic husband surprises her with his response. At first, he assures her that she will change her mind, then resigns himself to the prospect of being complicit in her termination. He accuses her of being selfish by depriving him of every last available second he cherishes with her. Reminding her of the palliative care she will receive, he tries to convince her that she won’t necessarily suffer from the confusion than sometimes results from pain relief. “I’d rather forego the goodbye if it meant you weren’t suffering,” he tells her. With no resolution, Hayley collapses and is entered into hospital with an infection. As usual, Corrie’s writers have handled a sensitive moral dilemma with care, never reducing the issue to pat answers. The viewer completely understands Hayley’s concerns about losing control as the cancer debilitates her, while feeling the impact of her decision on her loving husband, who himself attempted suicide in the past. The drama makes the debate complicated, tangled and wracked with competing emotions. Euthanasia elicits all manner of emotion. At one level, it seems an individual has every right to end his or her life however they wish, particularly if the alternative is prolonged suffering of some kind. Loved ones are forcibly reminded of the preciousness of life and the possible catastrophic impact on their own lives. Palliative care, we are often assured, has come on in leaps and bounds in recent years and the kind of torment Hayley anticipates is unlikely to happen. All the same, should a person be forced to accept care against his or her will? Should they be compelled to live with medication until the disease reaches its inevitable conclusion? Or should they be allowed to decide for themselves? Under English law, all adults have the right to refuse medical treatment, as long as they have sufficient capacity (the ability to use and understand information to make a decision). Other countries have different rules. Active euthanasia is currently only legal in Belgium, Holland and Luxembourg, for example. New Zealand’s recently withdrawn End-of-Life Choice Bill would have allowed adult residents to access medical assistance in hastening their death if they met certain criteria. Patients and their families must have a clear understanding of all of their options through carefully guided conversations with their medical practitioners. By making euthanasia legal, the law would have allowed family members to discuss options and support each other, rather than have clandestine conversations and face legal prosecution if they follow a loved one’s requests. So the pro-euthanasia or “right-to-choose” argument is not for totally unrestricted choice in one’s own suicide and its guiding morality is that, while dying is not a good thing, it’s often preferable to suffering and the loss of dignity diseases sometimes entail. Those who oppose assisted dying are usually guided by a moral compass that comes from their faith. No one, they argue, has the right to “play God” and there is something profoundly irreligious about an arrangement that permits exactly this. Most religions regards the preservation of human life as one of the supreme moral values, though there is no complete unanimity in, for example, Buddhism, Sikhism and some areas of Christianity. Corrie will, again, set an agenda for a debate about a subject that will continue to arouse great emotions. It is to the show’s credit that it can integrate issues of great complexity into its narrative. This entry was posted in Uncategorized and tagged Coronation Street, Euthanasia, ITV, television on 21 October 2013 by .